Do you hate managing price increases? Most retailers do. In January, many brands raise prices. 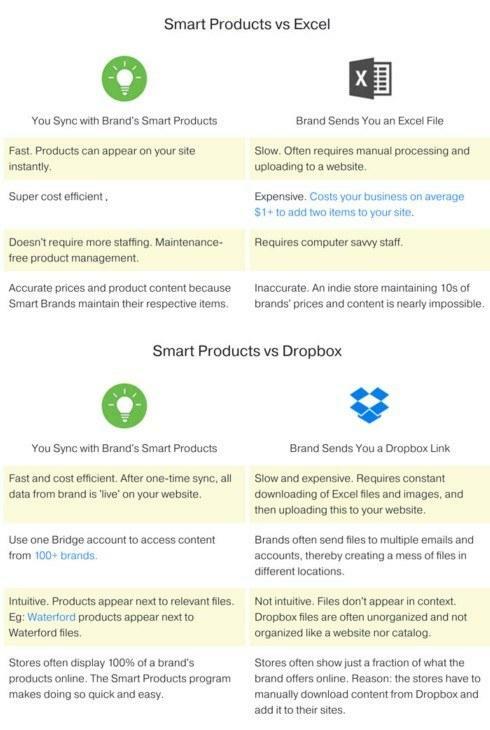 Retailers are buried under Excel files and Dropbox links. Retailers are expected to change prices for 100s or even 1,000s of products. How can an indie store keep up with these price changes? We have a solution: Smart Products. Want to fight back against Amazon? We'll show you 7 ways in our new webinar. How to watch the webinar? In the comment field below this post, enter your store's name. Then we'll send you the access link to watch the webinar. 1. How to offer greater product selection. 2. How to offer free shipping and promote easy pick ups and returns. 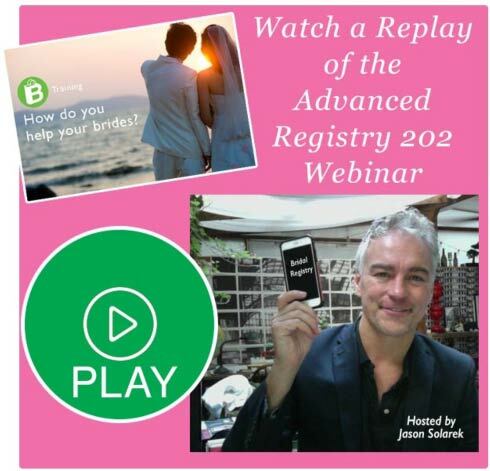 Help your brides get the most out of their registries with your Bridge Store. Learn tips and tricks to boost sales and save time. We'll take questions from participants. 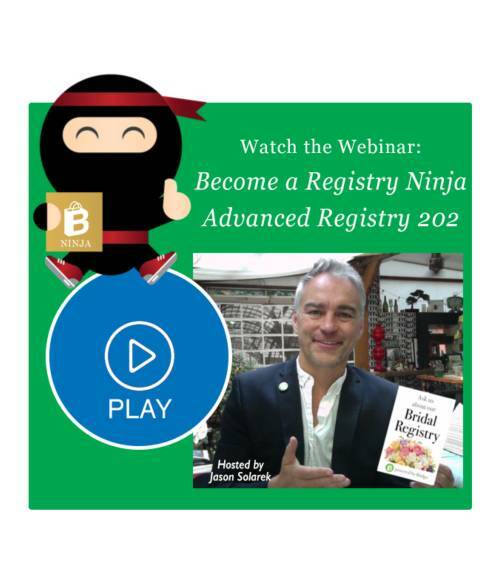 Are you a bridal registry ninja? 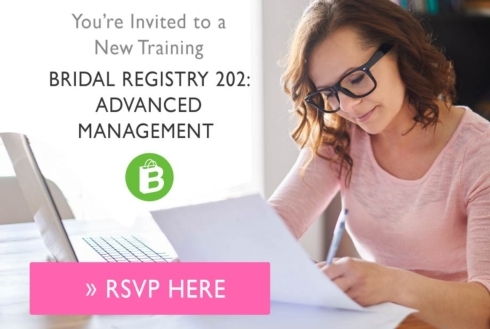 Learn the newest tips and short cuts to boost your store's registry sales. + Save time with advanced features. + Use the new registered items feature. + Use the new registry accounting feature. + Manage more complicated registry credits. + Boost the number of referrals that brides send you. 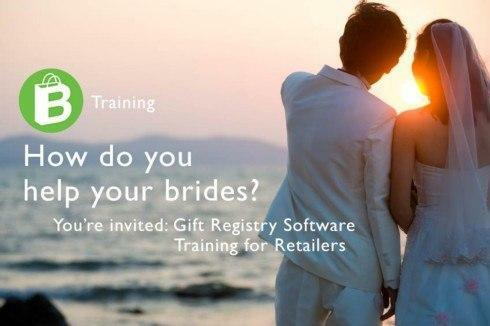 Are you a bridal registry ninja? Do you know the short cuts to boost your store's registry sales? Choose your date and RSVP. We'll email you your access link for your webinar. Do you want to beat Amazon? We'll show you 8 tips to succeed. 1. Offer greater selection by connecting with Smart Products. 3. Offer quicker delivery and returns. 4. Add pics of you and your staff to the staff page, home page, and 'about company' page. 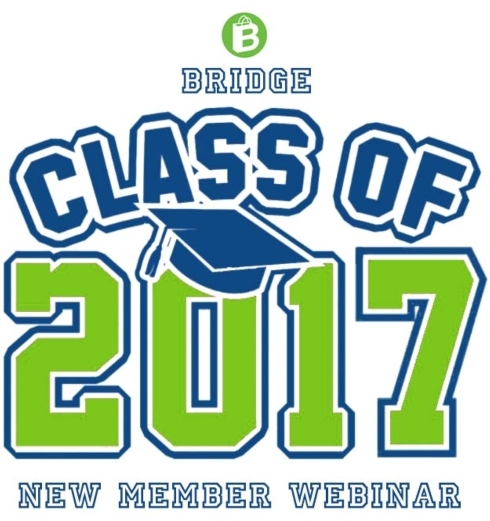 Join us for at our newest Bridge 101 webinar. + How to get the most out of your Bridge. + How to save time. + How to update products. + How a shopper experiences your Bridge store. How prepared are you for your Bridal Registry Season? You and your employees can watch a replay of last week's live training. • Save time with auto-populated emails. • More easily view orders for a specific registry. • Add in-store purchases to your online registries. For retailers: The busiest shopping days are less than 30 days away. Be prepared by learning tips to save time in processing orders. + Make your customers happier. + Spend less time at your computer. + Increase repeat business from existing customer base. - The most important things to do to boost your registry sales. - Tips to save time in emailing your brides. - The registry incentive program. Please contact us for the password. 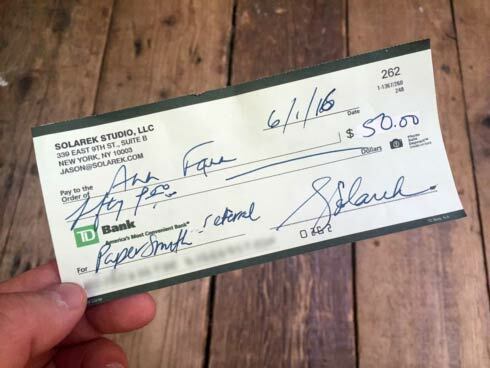 We're sending Ann Fann at Goetz a referral check. Ann helped the retailer PaperSmith save time and money in setting up its online retail store. What retailers can you help? Email us a store that you think can benefit and we'll review the store for free. Are you curious about how customers make a purchase on your site? 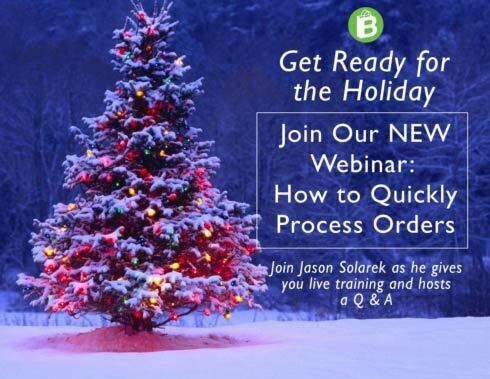 Do you want to know how to save time in processing online orders? + How does a customer make a purchase from your retail Bridge Store? + How do you best process this order? 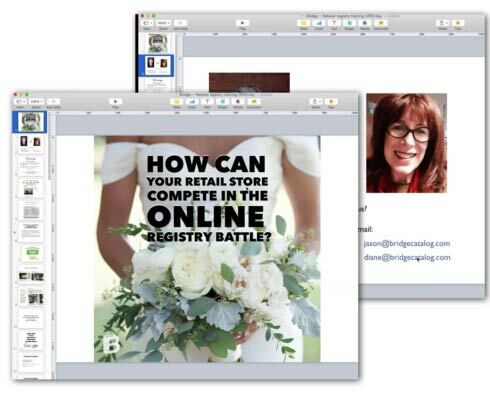 Help your brides get the most out of their online registries with your Bridge Store. + We'll walk you thru the mobile registry. + We'll show you how to admin your registries via mobile site. + We'll answer your questions. My name is Diane Seidle I have been hired by Jason Solarek of Bridge Catalog to help you make the most of Bridge's services. 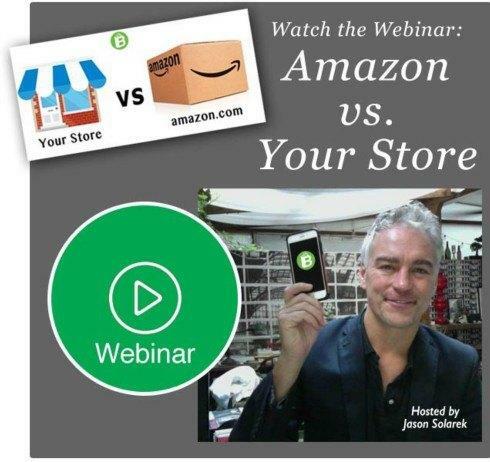 I am former product distributor, sales rep, retail sales person and former Madison Avenue marketing guru. I write the column in Tableware Today called Selling the Table, about digital marketing. But enough about me. What is it that you need? We'll walk you thru steps. Join us on Tuesday, June 16 from 11:00 - 11:30 am EST. Content creation and management is key to your business' success. How do you more quickly add items to your site? How do you more easily create news for your site? How can you collaborate with other businesses to pool resources and save time? Learn the answers to these questions and more. A prospective client wrote me today asking for a time-saving solution to maintain her gift registry. I replied the Bridge's Store and Products would be a good fit for her desire to save time. We were off to a good start. Then, she told me that she wanted a custom, unique website. She said that doesn't want a 'cookie cutter' website. Would you leave home without your AmEx? When you go to the Dallas and NY Now trade shows, be sure to wear your Bridge button. + Save time & money.The 'B' says to other businesses that they can share products easily with you. + Meet other businesses that use Bridge. With them, you can learn tips and tricks about how to sell more. How do you get a Bridge button? Just ask us and we'll send you one.